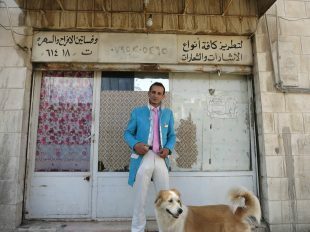 What’s the story behind the man walking around a suburb with his dog in a flashy suit? No, he’s not crazy. Turn’s out there’s more than meets the eye.